This post covers the best, biggest and the most popular online stores and websites in Singapore for free shipping, authentic goods, cash on delivery and more. 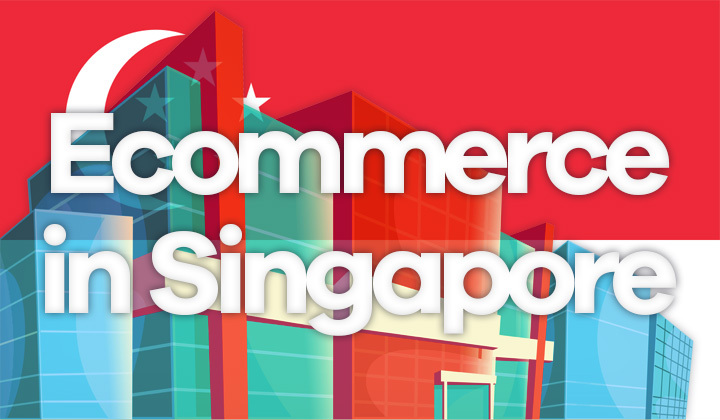 But what’s the top ecommerce company right now in Singapore? Click here for the most popular Lazada Singapore online marketplace. Most modern online shopping platform in Singapore is now Lazada, with the best shopping app, biggest stock of products and the most competitive marketplace in Singapore for businesses. And with free shipping, we have a winner. Click here to check daily flash sale offers on Lazada Singapore. More than 1000 categories, anything from gadgets to clothes and groceries. Affordable cash on delivery (COD) payments, as well as Visa, MasterCard, American Express, PayPal and instalment payment plans. Free shipping on all items (minimum order SGD 40, delivery schedule is about 3 days), or affordable same or next day home delivery. Hugely popular top marketplace platform where tens of thousands of Singapore businesses sell items, under quality guidelines from Lazada. Access to purchase goods from Chinese Taobao and Japanese goods. Top online shopping app for iOS (iPhone, etc.) and Android devices in the country. Please note, to receive free shipping for your order select the “saver” option during checkout. This also means delivery is slower than with paid shipping. You can buy items with a local address only, there are no global shipping or international features for those residing outside of Singapore. The below top 10 list is ranked based on the popularity of the e-commerce company on Facebook, not on the number of visitors or how big they are. trivago, “Cheap hotel prices and comparison”. Brandsfever, “Best brand shopping and best sales”. Qoo10 Singapore, “Online shopping paradise”. ezbuy Singapore, “Local and global shopping with low prices”. SINGSALE, “Leading shopping club in Singapore”. ZALORA, “Clothes and fashion online”. Lazada Singapore, “No 1. Online mall and marketplace in Singapore”. Love Bonito, “Leading women’s fashion brand in Asia”. Reebonz, “Buying and selling luxury items”. The two top shopping brands you hear most often, is the newer Lazada store and much older and established Qoo10. A lot of people are still accustomed to using the Qoo10 marketplace even though it has less developed buyer protection, has a more complicated shopping interface and that there is no free shipping either. So while Lazada is certainly the best and even the biggest online shopping site, it’s also well worth it to do price comparison with the older Qoo10 marketplace. What do you think is the best site for online shopping in Singapore? Singapore ecommerce related comments, questions below. You might also appreciate knowing that affiliate links are present in a significant part of the posts on my blog which can convert to monetary benefit in my pocket. Thanks for reading, your voluntary support and sharing.